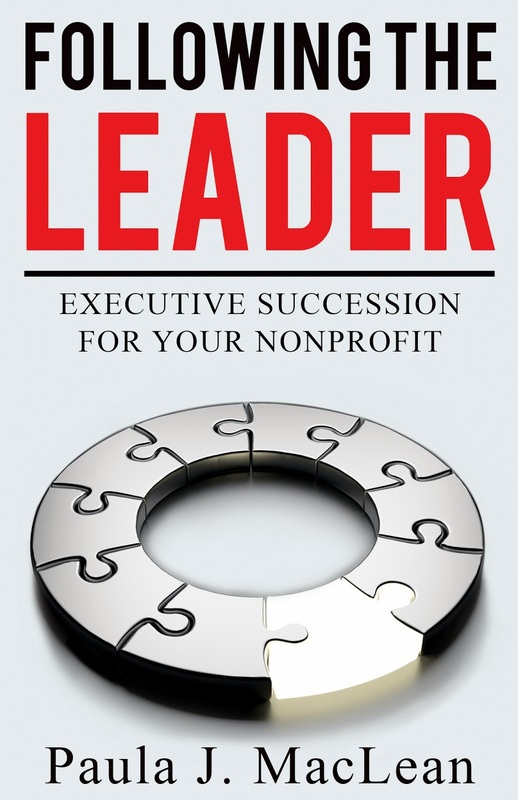 October 7th marked the release of my sixth book entitled “Following the Leader – Executive Succession for Your Nonprofit” Please visit our website for to check out the Table of Contents and Sample Chapter. 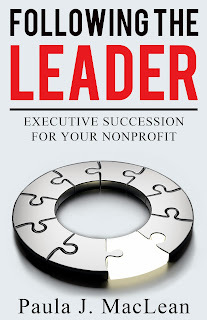 This week’s blog is the last of three posts on the topic of executive succession planning for nonprofit organizations in Canada and the USA. Don’t forget to subscribe to our newsletters for regular updates and discounts on book orders. 10 Tips Newsletters. Tip #8 Allow at up to one year for creating a comprehensive planned departure succession and transition plan. Allow at least six months from the initial creation of a search and selection committee to the confirmation of a new executive director. Tip #9 Support your exiting executive director to create her or his “second act”. All transitions are out of something familiar and also into something new. This process takes time and may require the support of an executive coach, financial and retirement planners. Tip #10 Consider the benefits of contracting with an experienced interim executive director. This person may help the board with an organizational review, support staff during the transition and assist with the search and selection process. Paula J. MacLean is the best-selling author of six books on managing human resources and working with volunteer nonprofit boards. Please contact her at [email protected] with your comments or ideas.